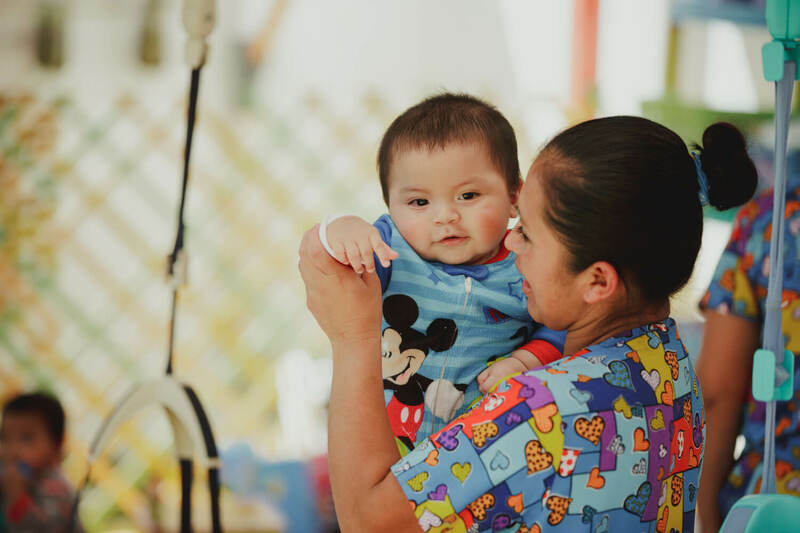 Love the Child (Amor del Niño) is a private Christian orphanage that provides comprehensive care and developmental support for abandoned, orphaned, abused, and special needs infants in Guatemala. The private home was founded after Shyrel Osborn, who had spent several years working private and government orphanages throughout Guatemala, witnessed that many orphanages were limited in their ability to care for the intense needs of newborns. Shyrel was inspired to create an orphanage that provided every child the family environment they need to flourish. Love the Child has created a unique, family–like atmosphere in which to care for these precious children. They currently care for around 50 children, from newborns to 5 years old. The majority of the children are under 3 years old. The home receives an average of one newborn per week. Their goal is to enable these children, through loving relationships with caring adults and with one another, to develop into healthy and complete image bearers of God who know Jesus Christ as Lord and Savior, and who will have a positive effect on their culture and their world. Since Guatemala closed international adoptions in 2007, Love the Child has focused on advocating for national adoptions. Since 2013, more than 25 children have been adopted each year into loving Guatemalan families.